So often I hear "Why bother with Yosemite, it's been done." 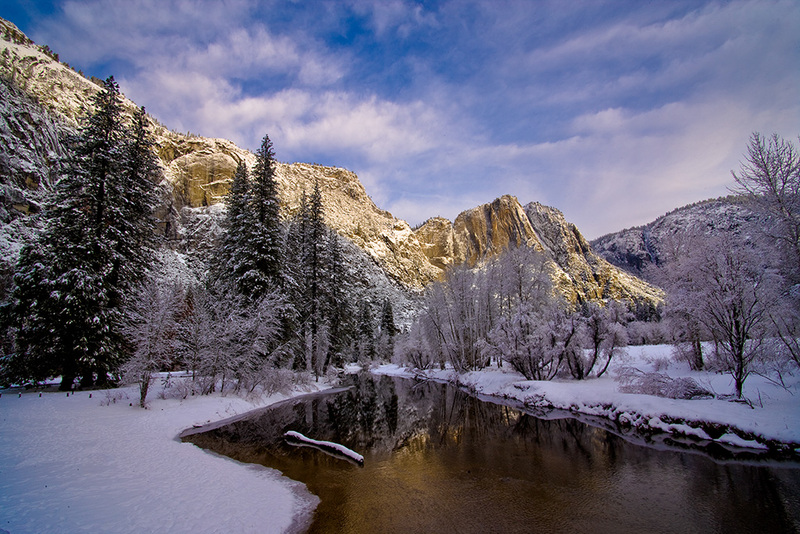 Well that never occurred to me as I walked along side the Merced River and looked across it's snow covered banks onto El Capitan. The black oaks were covered with a dusting of snow and the red cliffs popped out from the stark white snow. I was all alone in the dark and the sun was just starting to rise. It's the rush, that's why I come here. The camera is just along for the ride. Winter provides a magic spell over the valley. 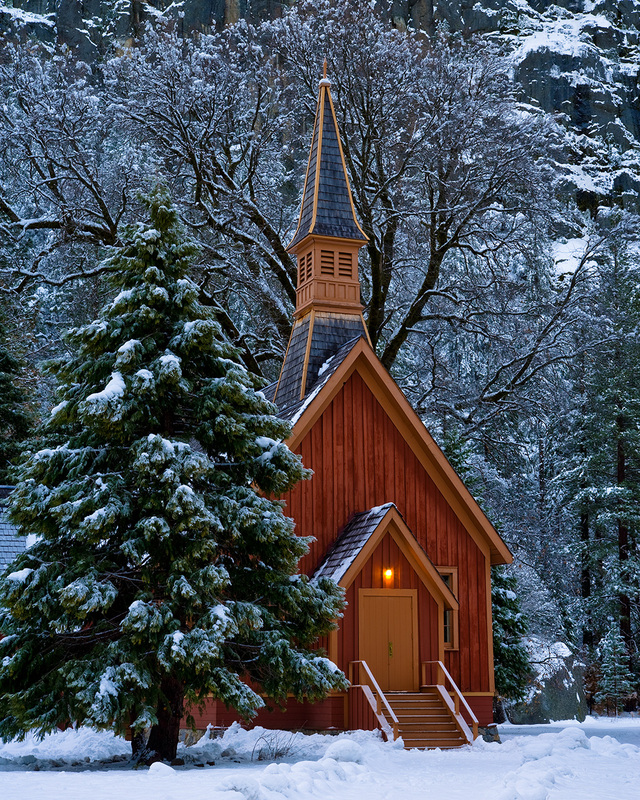 There are snow covered peaks, wildlife and small frosted treasures. It feels like you have the whole place to yourself. The North Road was closed, but I found plenty of places to go. I went to Swinging Bridge, El Capitan, The Chapel, Cooks Meadow, Sentinel Bridge, Ahwahnee Meadow, Tunnel View, and the trail behind the Ahwahnee. I never saw anyone at Sunrise and just a few people during the day. There were lots of cars in the parking lot, but it seems that everybody went skiing up at Badger Pass. 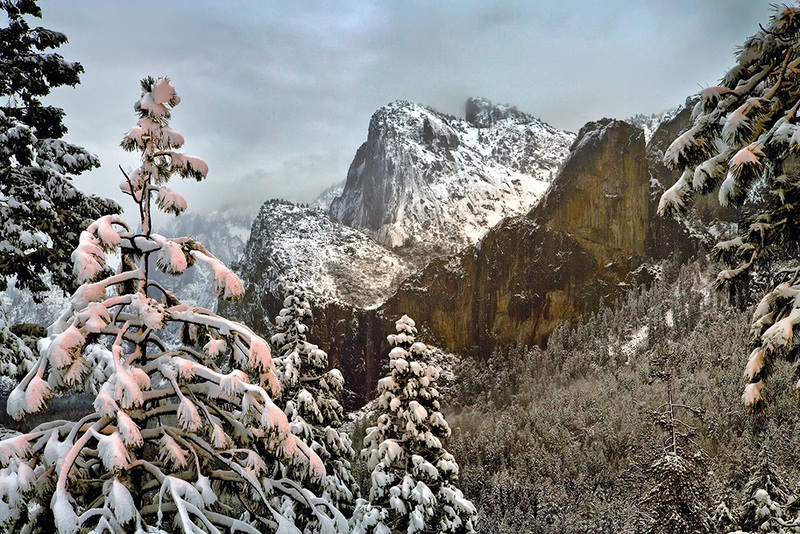 The secret to shooting Yosemite in winter, is to wait for a storm and then go. I didn't have resevations until 2 days prior. I stayed at Yosemite Lodge and it couldn't have been better. The staff there is first rate. They made me feel welcome. The soup's great at the cafeteria and don't forget to buy chains for your shoes. I'm talking about Yaktrax Walkers. You'll slip and slide all over the place without them. Make sure you bring chains for your car too. You're required to carry them in winter. I always bring my Photo Secrets book on Yosemite and The Photographer's Guide to Yosemite by Michael Frye. 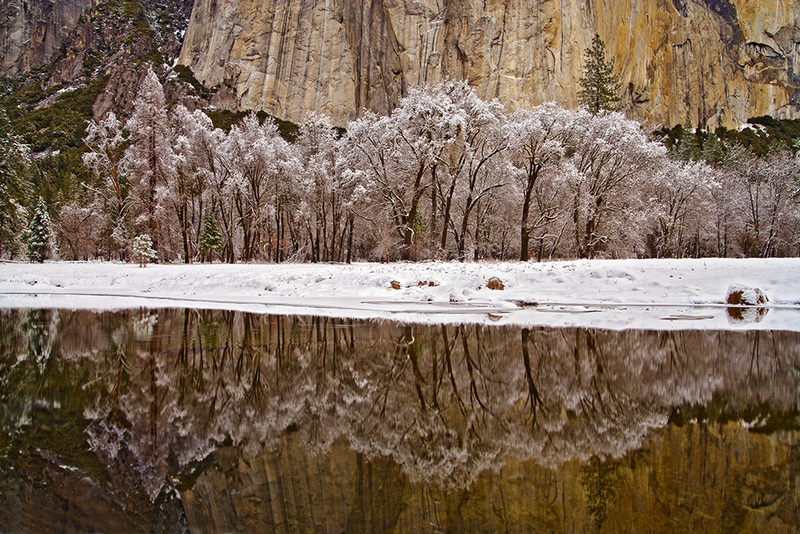 For more photos see my Yosemite Winter Photo Gallery.